Katy Sullivan has brushed aside past hurts to make a name for herself in the small town of Holly Haven. Her Main Street Boutique is a successful showplace, while her sugar cookies are destined to repeat blue-ribbon fame at this year's Christmas festival. All is well...until Caleb Kendrick rides back into town. Caleb returns home to help his sister rebound from a flare-up of Multiple Sclerosis. He's thankful to find high school sweetheart Katy Sullivan unattached, and hopes for a second chance to win her love. But Katy won't easily forget that he broke once her heart, even though that was a decade ago. Christmas is a time for miracles, and Caleb aims to claim his. But will Katy block the blessing? Katy Sullivan bobbled double-stacked bins of sugar cookies as she navigated the crowded school hallway. Holly Haven Elementary School’s Christmas Family Night was cranking up to full-speed-ahead, and she wondered once again how her sister had talked her into spending the better part of a busy work day baking her special recipe cookies for this event. It wasn’t as if Katy didn’t already have enough to fill her to-do list; managing her Main Street Boutique kept her especially busy this time of year, with holiday shoppers hunting for the perfect gifts. “You had an off-day? Impossible. You are never less than perfect, sis.” Indeed, Katy had spent the better part of her life trying to live up to the standards her twin sister had set. Liz had penned a life plan by the age of fourteen, and she’d spent the last decade-and-a-half conquering it. She’d graduated college a full year early while Katy opted for the five-year plan. By twenty-two, even before Katy donned a graduation cap and gown, Liz was happily engaged to Curt. By Liz’s twenty-third birthday, the couple had married, and by her twenty-fourth they’d built and moved into Liz’s dream house—a whopping three-story deal near the outskirts of town. Merely a few months later, Janie came along; and following half-a-decade of teaching, Liz had been named the principal of Holly Haven Elementary School. Now, five years later, Curt captained trans-continental airline flights while Liz had been named Holly Haven School District’s Administrator of the Year for two years running. Katy’s head spun simply trying to keep up with all the details of their busy lives. “Never mind about my faux pas. It’s getting dangerously close to time to open our doors for this fundraiser, and right now there are still a million-and-two things left to do.” Liz glanced at her wristwatch as impeccably neat, cropped blonde hair framed her face of perfectly-arched cheekbones and porcelain skin. You’d never know she’d already put in a ten-hour workday. Unlike Katy, who chose to wear her natural curls in their true strawberry blonde color—a sign of her Irish heritage—whose hair constantly looked as if she’d just stepped out of wind storm. Unlike Katy. That seemed to be Katy’s mantra when it came to Liz. It wasn’t a bad thing in Katy’s mind. They were just different where everyone expected them to be…well, identical. Liz, unlike Katy, was minus a smattering of freckles across the bridge of her nose. When the two were young children, before hair dye and make-up, those freckles—or lack of them—were one of the only ways the teachers at school could tell them apart. That led to a shipyard of laughs and one very memorable phone call to their parents. Unlike Katy, Liz’s mind didn’t wander all over the place while escorting cookies down the school hall. “I know the way.” Katy had visited the class for show-and-tell day just a few weeks ago, when Janie begged her to come and share cookies for her classmates to decorate. Hence her invitation to this Christmas Family Night event—word of her delicious cookies had spread like wildfire through the halls of Holly Haven. And, just last week, Janie’s teacher had invited her back for the class’s Career Day, where Katy had shared an assortment handmade jewelry, scarves, and handbags she’d fashioned for her boutique. She’d brought inexpensive baubles and allowed every child to create his or her own art design. The girls had practically squealed with delight and even the boys had loved the activity. Katy knew well the Billy whom Janie spoke of. He was the son of Mariah Kendrick, one of Katy’s closest high school friends, and he had been full of questions during both of her visits to the school, practically talking her ear off with chatter about the treasures his uncle Caleb had scored during his many cross-country treks. The kid was a firecracker for sure, and with his tousled dark hair and eyes the intriguing color of sea foam, he’d proved the spitting image of his uncle Caleb Kendrick…the same Caleb Kendrick who’d broken Katy’s heart. “I don’t think so.” The world couldn’t possibly handle two. “I’m just…it’s just…” Why, exactly, was she upset? It was an inevitable fact of life that she and Caleb would run into each other again, eventually, especially in a small town like Holly Haven. She just didn’t expect it to be this soon. “I…we…” Katy couldn’t manage an adequate explanation. Even she still failed to understand what, exactly, had transpired that final day…in those last heart-wrenching moments when Caleb had ridden off, literally, into the sunset. “Yes, we do.” And as far as Katy was concerned, she wouldn’t repeat her mistakes, especially those she’d stumbled through with Caleb. Easy for her to say. Katy grimaced and turned from Liz with a death glare. “Is that so?” Katy’s trepidation segued to quivering laughter, because she knew Liz was teasing and Caleb’s singing voice was anything but abrasive. When Katy and Caleb were classmates at Holly Haven High he’d sung to her from the bed of his pickup truck on a stretch of warm, lazy summer nights beneath the stars. They’d even slow-danced a time or two while he serenaded. The gesture had made her feel loved and special beyond words. But that had been years ago…too many seasons ago to count. When Caleb left town following graduation, all but shattering her heart, Katy thought he’d stay gone forever. But he’d returned, and a couple of weeks ago, he’d opened an antique shop right next door to her Main Street Boutique. Twelve days ago, to be exact. Katy knew, because she’d seen Caleb with her own eyes when he stopped by the boutique one afternoon looking for her. Of course, she’d closed the door to her back office and pretended to be busy—well, she didn’t really have to pretend that part because it seemed when it came to managing the boutique she was always busy—and said she couldn’t take visitors when her assistant Cassie buzzed in with Caleb’s request to speak with her. She’d managed to avoid him for a full dozen days, though he’d set up shop right alongside her, just to stumble into him here at Holly Haven’s Christmas Family Night. 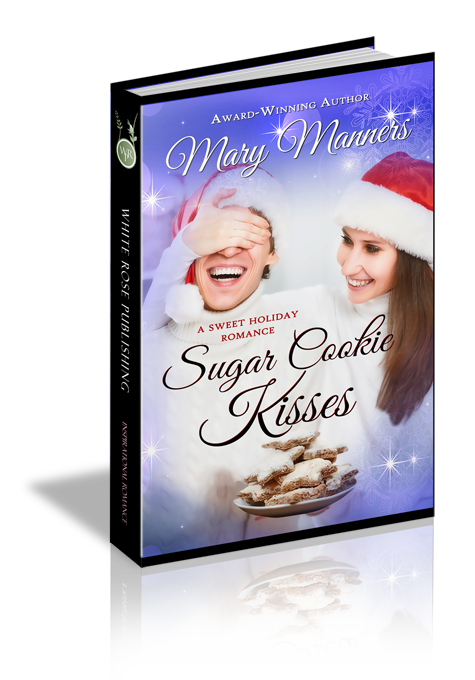 “Then we’d better get these cookies delivered to the fishing game quick.” Janie started off again, skipping to close the distance while her patent leather shoes clacked a staccato beat along the floor tile. They rounded a corner that opened into a suite of kindergarten classrooms merrily decorated in handmade holiday crafts and strands of colorful, blinking LED lights. Christmas music spilled from a portable CD player on the counter. Above the upbeat tempo of piano chords and jingle bells, Katy heard the murmur of voices.